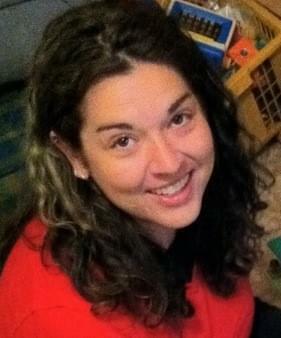 Sarah Katherine Ellis, 36, passed away on September 12, 2015 in Mesa, Arizona. She was born on July 16, 1979 in Mesa, Arizona. She is survived by her parents, Karen and Doug Ellis; her brothers, James Wilson and Jeremy Ellis; and her fiance, Allen Battersby. Memorial contributions in Sarah’s name may be made to any animal rescue, animal shelter or the Humane Society. My thoughts and prayers are with you Allen and Sarah’s family. My thoughts and prayers go out to Sarah’s family. She was a sweet caring person who I only met a few times but she always was a kind genuine person. My heart goes out to Allen and her loved ones. I am so sorry for your loss. You are in both Sandy and my thoughts and prayers. I’m so sorry for the kid loss of sarah. She was a good person. My heart is heavy for you all right know. You are all in my prayers at this time. I’m very sorry to hear Sarah passed away. We had many amazing times in high school newspaper as editors!! I haven’t seen her except on facebook, but she was a great person and will be greatly missed. My thoughts are with everyone who loved her! My thoughts and prayers for her family and her fiancee Allen, she was a kind, caring, loving and wonderful person. She had such a big heart. She was funny but stubborn and hard headed at times but it didn’t matter because she was such a bright light despite the problems she was working through. I miss her everyday and she will always be close to my heart. I love you Sarah and wish your were here everyday.